It isn’t uncommon for Lamborghini to release special edition models for their popular vehicles, and we get excited about them every time. One of the more recent limited-edition models was the 2017 Lamborghini Huracan Avio, which we currently still have available here at Prestige Imports. This extraordinary machine isn’t just a sports car, it’s a jet on wheels. The Huracan Avio was designed with elements drawn from the iconic history aeronautical engineering. The finished product is an astonishing, aggressive, yet sophisticated machine and tribute to the Air Force. But we’re fully aware that speaking highly about a vehicle and showing you a couple of fancy photographs probably isn’t enough to show you just how incredible this vehicle is, so we’ll dive into some of the specs & features that make the Avio such a prodigious automobile. We’ll start right out of the gate with a peek beneath the hood of the Huracan Avio, where a long-stroke, naturally-aspirated, multi-point/IDS-stratified injection, 5.2L V10 engine rests. The specially-crafted V10 engine is capable of generating 602 horsepower alongside 413 pound-feet of torque. That much power makes the special edition Lamborghini Huracan capable of hitting 62 miles per hour in just 3.2 seconds, 124 mph in just 9.9 seconds, and a max speed of somewhere over 201 mph. Finally, it's capable of coming to a complete stop from 62 mph in just 104.7 feet. If these numbers aren’t enough to impress you, then you’ll be happy to hear that there is much more to get excited about when it comes to the 2017 Huracan Avio. It’s packed with other incredible performance features, like a dual-clutch gearbox, electronically-controlled AWD, and carbon-ceramic brakes. Furthermore, this luxury vehicle has plenty of great cabin features as well. 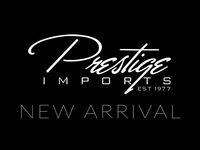 If you’d like to check it out for yourself, be sure to get in touch with us or stop right in here at Prestige Imports. We look forward to working with you!